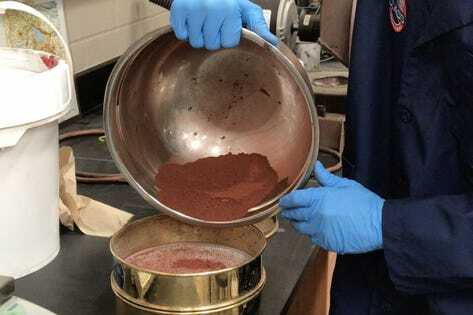 Scientists at the University of Central Florida are selling their own simulated Martian and asteroid soil for experiments. When we finally get to Mars, we’re going to need to be able to grow food and build shelters and to figure out how, we need Mars dirt. “The simulant is useful for research as we look to go to Mars,” said physics professor Dan Britt, a member of UCF’s Planetary Sciences Group, in a statement. “If we are going to go, we’ll need food, water and other essentials. As we are developing solutions, we need a way to test how these ideas will fare. The only way the scientists were able to create this simulant though is because we’ve already been to Mars, at least by proxy. The UCF team created their dirt using the chemical signature of the soils on Mars collected by NASA’s Curiosity rove. There are a number of soil simulants around, but they aren’t standardised, so it’s very difficult to compare two experiments to each other. The UCF recipe is based on scientific methods and has been published for anyone to use so that even those who don’t want to pay $20 to get some dirt can make it themselves. The base recipe can be mixed in different ways to mimic soils from Mars, asteroids, the Moon and other planets. Just as Earth has various soils – sands, clay, topsoils, etc – other worlds will have carbon-rich soils, clay-rich soils and salt-rich soils. That’s why UCF sees a market for the soil it creates rather than scientists in labs around the world trying to make it for themselves. The team already has around 30 orders, including one from the Kennedy Space Center for half a ton. And of course, anyone who wants a manmade piece of Mars can put in an order too.